The MX line of fixed bowl mixers was conceived of to meet market demands for machines that combine reliability and competitive prices. We have achieved this goal by applying economies of scale obtained thanks to the application of modern laser cutting technologies and a folding system that allows the machine to be effectively sturdy but weigh less. These characteristics also allow the machine to be constructed entirely in stainless steel (in great demand in the Ho.Re.Ca sector) with a price list supplement that is substantially reduced. The internal electrical and mechanical components are the same as our traditional M and M Premium lines of fixed bowl mixers. 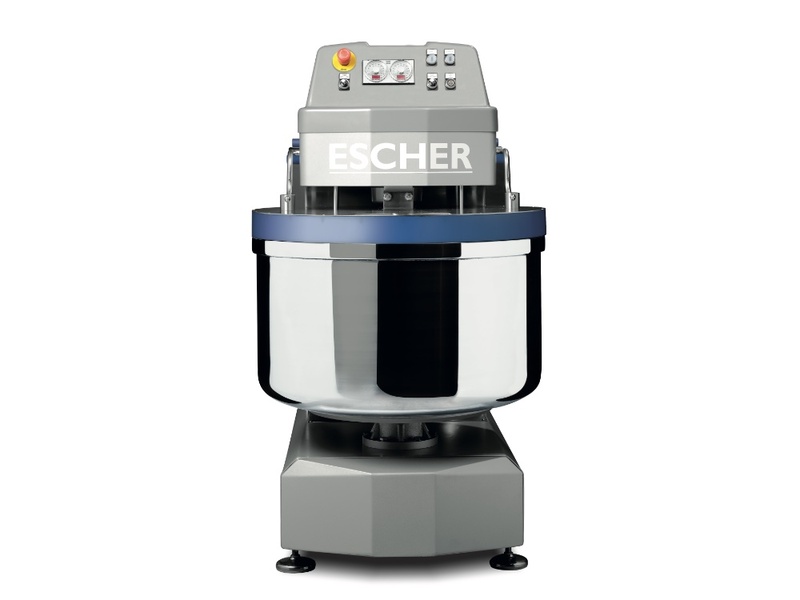 This guarantees that the Escher standard of performance and mixing quality are maintained. » Two-directional rotation of the bowl withinversion of the rotation direction at the firstspeed.